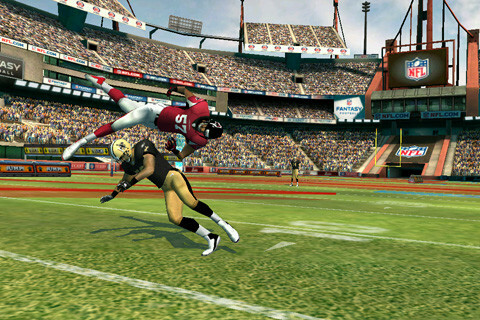 Know that feeling of strutting into the end zone or saving the game with a last minute tackle. NFL Rivals manufactures those magical moments like gangbusters. Then they give you that same ever satisfying adrenaline rush again and again. 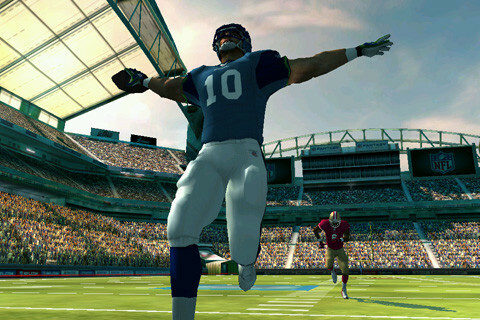 NFL Rivals begins with the most important part. You add your name, claim your jersey number, and choose your team. From there on out everything you do represents you and your team, so choose wisely and prepare yourself. This game is going to get serious. 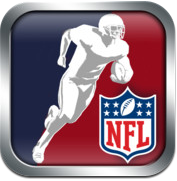 Once you’ve chosen your team and made a few modifications to your avatar you’re dropped into game day. 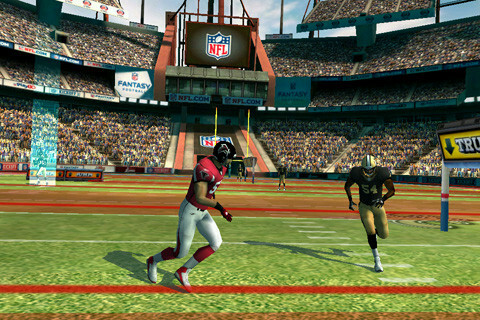 NFL Rivals lets you choose between offense and defense to start, but expect to play both sides of the field and expect to play hard in front of a stadium full of fans riding on your every move. Every level starts with a sweeping view of the field that feels great but is easily skipped with a tap. If you’re on offense it’s your job to run the ball into the end zone. If you’re on defense the object of the game is to find the guy with the ball (easily spotted if he’s in your peripheral because he has a blue orb over him) and tackle him before he scores a touchdown. In addition to moving right and left by tilting your iPhone, you control your player’s specialized moves with a series of buttons along the bottom of the iPhone screen. Tapping on the general bottom area sends your player leaping (helpful when levels integrate jumps), right and left juke your player from side to side, and small semi-circles send the player into a sweet spin move. There’s also a button for trucking (perfect when they start adding barricades on the field) and a universal sprint button. If you’re on offense there’s another button for celebrating in the end zone, but on defense pressing in the same place as you tackle will give you a glorious take down. Fancy moves and athleticism on the field racks up points in the same way skateboard or BMX video games do, making for an awesome sporting experience. In the end you can win games and unlock new opponents as long as you complete your objective of getting the football where it needs to go (or stopping it before the opponents score), but athleticism points are what really contribute to your player and team rank. Grab enough points with every level set and you help your team rank higher, but you can also earn things like captain status and other accolades. The whole setup makes for a great experience with a surprising amount of replay value. Every sub-level within every game is a little different because of the artificial obstacles and opponents rushing at your from every angle, but where NFL Rivals really stands out is with the graphics. Natural Motion Games did a phenomenal job polishing replays from multiple angles (one of the few replays I actually watch in the context of any game on any platform). The sound effects also bring home the sounds of a stadium right down to the heavy breathing and hard hit of a good tackle. 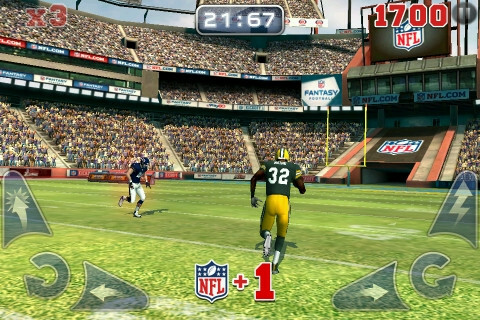 There’s no question this is a developer that knows how to build a sports game, but sometimes it’s hard to get the context of the whole field on a tiny iPhone screen and control your player with as much precision as you’d like. The game’s not very forgiving in terms of hard turns and jumps, but overall that doesn’t take away from that rush of winning a game with pure skill on the field. 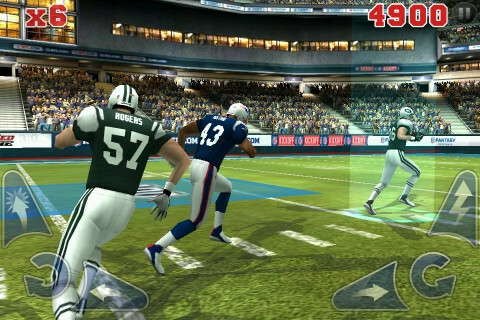 Bottom Line: Football fan or not, NFL Rivals is one of the best designed sports titles to hit the iPhone. At 99 cents this game is an absolute steal.